Yeh is optimistic about the 2014 LED market. 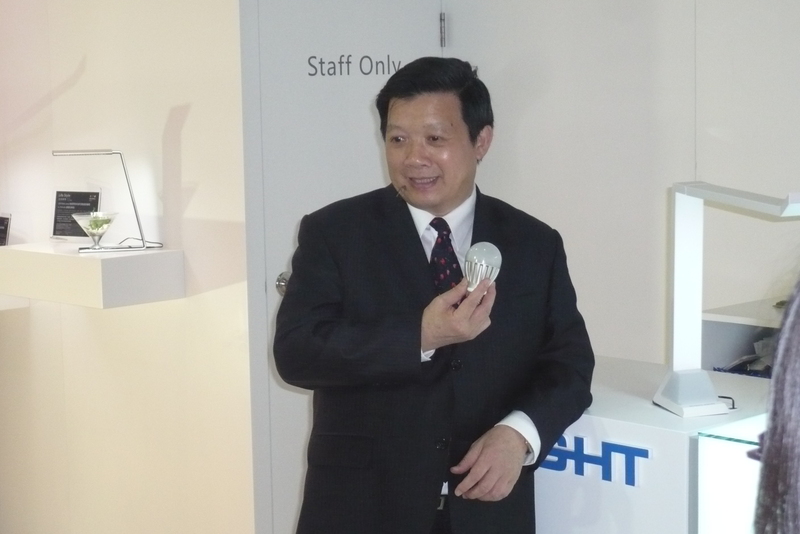 Everlight Electronics Co., Ltd. Chairman Robert Yeh expects the company's revenue for the first quarter to likely outstrip the second highest of NT$6.7 billion (US$225.2 million) of Q4, 2013 regardless of fewer workdays in the first quarter due to Chinese New Year holidays. Yeh, whose company is the world's No.1 LED packager by volume, bases the bright forecast on strong market both for LED lighting and LED backlights, and stresses that the LED industry has emerged from hard times, with both demand and price of LED projected to broadly go up this year. LED lighting, he thinks, will see faster demand growth this year than last year while the price is estimated to stop falling this year. For the backlight LED market, Yeh's view is that the demand has been recently driven up by increased entries of Taiwan's electronic-manufacturing service providers into LED backlight manufacturing and newly added manufacturing capacity at China's liquid crystal display (LCD) factories. In January, the company had revenue of NT$2.1 billion (US$70.2 million), down 6.79% from December last year. The company's Q1 revenue would near that of Q4, 2013 if its revenue each for February and March posts at around NT$2.3 billion (US$76.6 million). The company's new high was NT$6.9 billion (US$232.9 million) set in Q3, 2013.